Mental Health Awareness Week isn’t just a news hook for communications agencies across the UK, it’s becoming an increasing priority. 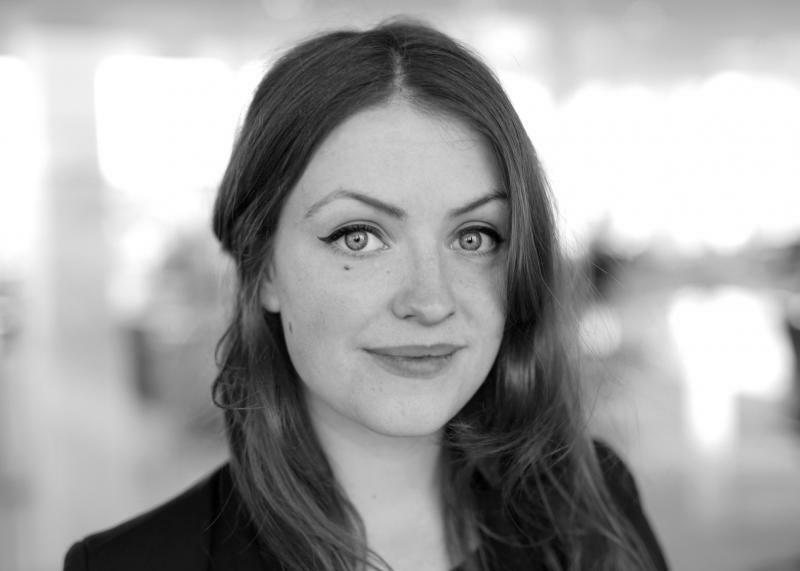 Tash Cordeaux, New Business & Marketing Manager at M&C Saatchi PR, reflects on both the PRCA Council Meeting on mental health (27th April 2017) and how our industry’s leaders must confront the stigma still attached to mental health. Freud once defined the ‘uncanny’ as ‘that class of the frightening which leads back to what is known of old and long familiar’. Mental Health has become the uncanny. In societies across the globe, it has historically been ostracised, mythologised and villainised, and not because we’ve never had contact with it. According to the Mental Health Foundation’s 2016 study, one in six adults in the UK experience symptoms of a common mental health problem, such as anxiety or depression. It’s precisely because mental health is so familiar to all of us that it has become ‘frightening’, unspeakable and stigmatised. So much so, that despite an overall increase of people accessing treatment, around a third of all people with a mental health problem have sought no professional help at all (Mental Health Foundation, 2016). What does this silence around mental health mean for us, our people and our industry? The PRCA survey in 2015 revealed that over a third of people working in PR and comms have experienced or been diagnosed with mental ill health and the majority would not feel comfortable talking to their boss about it. Despite this insight, two years on, there is still a huge stigma attached to mental health in an industry ironically known for putting a positive spin on things. In the 2017 FuturePRoof report conducted for the PRCA, it was revealed that mental illness in our industry is being ignored and even treated as a performance issue. Industry professionals continue to feel that mental health is viewed as a weakness, with 44% of PRCA’s members stating that they would find it ‘difficult’ to ‘very difficult’ to tell either their boss or line manager, with 36% of senior industry leaders feeling the same. One group chairmen admitted that they worried that confessing to mental health issues would undermine their employees confidence in them, rather than pave the way. Instead of creating an open, safe environment where line managers and senior staff are seen as support systems for employees, some agencies have created hostile workspaces where employees fear being misunderstood and are constantly at odds with trying to balance their work with their mental health issues – so what needs to change? Change must come from the top. We need to lead by example; it’s not good enough that the gulf between how much mental health is talked about and how much it exists continues to be gaping. As leaders, we must acknowledge, encourage and champion people at all levels across the industry, and within our own organisations, to talk about their experiences and issues with mental health honestly and openly, without fear of professional repercussion. Above: Ben Andrews, Client Relations Director at KMG, discussing Mindfulness and Mental Health Coping Mechanisms at the PRCA Council, 27th April 2017. To incite action, Molly Aldridge, Global CEO of M&C Saatchi PR and the Chair of the PRCA invited mental health experts seeking to change its negative perception to speak to the PRCA Council on 27th April 2017. Discussed were the following prominent areas affecting people in our industry: stress and anxiety, addiction, depression and practical coping mechanisms (such as mindfulness). 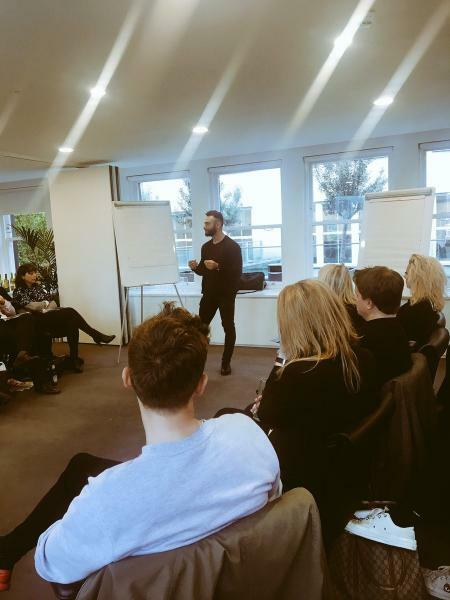 Speaking on stress and anxiety, Founder of Sanctus, James Routledge, told the PRCA Council that talking openly is vital to improving your self-awareness and resilience when it comes to mental health in the work place. Without communication in our industry (ironically), mental health remains dark, depressing and expensive for businesses. With real internal communication, mental health can be relatable, accessible and aspirational. We need to move from seeing mental health as a problem, and reposition it as an opportunity to foster and inspire talent. - Alison Cowan, ‘One half of Our Digital Brain’ and previously Vice Chair of Mind, speaking on Depression. What became clear was the need for employees to be given the space to talk about their mental health, and for managers and directors to be given the tools and proper training to understand how to best support those suffering. “There are no overnight successes nor magical solutions,” said Ben Andrews, Client Relations Director at KMG speaking on Mindfulness and coping mechanisms, “it takes time to build new pathways and it’s essential that managers and directors create a safe area to build employee confidence and to help them overcome the debilitating nature of mental health at its worse.” Without the tools, will power and determination to confront the stigma and fears attached to this uncanny part of our human nature, mental health will remain the frighteningly familiar ‘unknown’. The PRCA Council ended the evening’s talks on mental health by splitting into focus groups to discuss how we can make practical, real change in our own organisations. The ideas will provide the foundation for the PRCA’s policy on mental health in the workplace. Let’s look at this from another angle. If mental health was a multinational client, it would have been handing out a brief for years asking us agencies for a crisis communication plan. But this is where we’re all falling short and failing to recognise the real challenge. We don’t need to manage its bad reputation, we as an industry need to be rebranding mental health internally and educating everyone in order to positively affect behavior and attitudes towards the issues and those suffering from mental health in our industry and beyond. Mental health is a spectrum, not a spectre. We shouldn’t fear what’s difficult, we need to face it head on. The PRCA Mental Health Toolkit for Employers can be found here.